Some people love roller coasters and others hate them with a passion. I guess that if you are naturally a thrill seeker you will discover coasters eventually whilst those of a more delicate nature and with a fear of heights will avoid them like the plague. My own journey started with visits to the local fun fair as a small child and developed into a passion that I cannot shake. 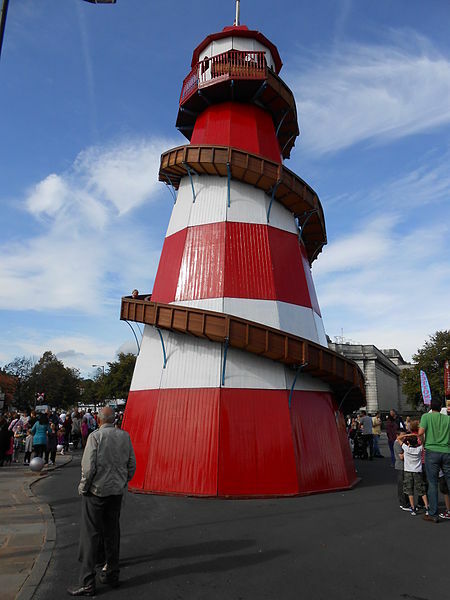 My father used to take me to the travelling fairs when they visited our area and it was at one of these that I discovered the helter skelter. By modern ride standards these brightly coloured towers with curly slides were very primitive but I just loved flying down them on those coconut mats and for a five year old it was all very exciting. I think it was obvious from those early days that I was going to be an adrenaline junky and I have horrified my parents ever sine with escalating daring do! The corkscrew was where it was at in 1980 and seemed like a whole new world. A swift descent, major G force and being turned upside down twice was really out there. 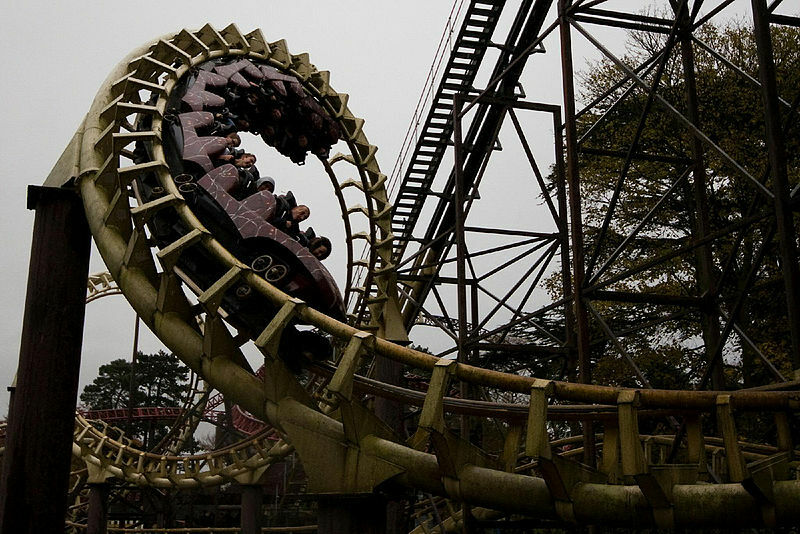 Today’s younger theme park aficionados would find the ride rather tame but in those days there was nothing like it. The following year I was fortunate enough to be taken to Florida for a holiday and after several spins on Space Mountain at Disney and Python and Scorpion at Busch gardens I had started my lifelong search for the most thrilling rides on the planet. Boy have things changed over the last 30 years! 50 mph, a single inversion and a structure 90ft tall used to be big news. Now you can travel at 128 mph to heights of over 450ft and get turned upside down up to 14 times. So what have been the best rides I have experienced? In my case for more than a decade the one ride that I wanted to try more than any other was Top Thrill Dragster at Cedar Point. When it was built it was the highest and fasted thrill ride on the planet and even after it had been superseded on both counts it remained the machine that I lusted after the most. In 2012 I finally made it to Ohio and rode the thing 6 times. It was fabulous but did not end up being my favourite which was and is Maverick at the same park. It is not the highest or swiftest ride but the combination of what it does have make it my top pick. I would have to say that Millennium Force is a close second with Dragster coming in third. Long after I hung up my equestrian equipment and at a time when most of my other sporting adventures are confined to my holidays, I still visit theme parks across the world regularly. There is always a new ride to discover and old favourites to revisit and whilst some do not live up to their billing there are others that live long in the memory. My next target is El Toro at Six Flags Great Adventure and I do hope that I get there soon! This entry was posted in Stories and tagged roller coasters, theme park, theme park rides, thrill seekers on September 30, 2013 by Sally.